The ingestion of any amount of the heavy metal, whether through tainted water, lead-based paint, contaminated soil or fumes and dust, can do irreparable harm to children. This includes impeding the development of the brain and nervous system, lowered IQ, memory loss, hearing and speech problems, and behavioral and attention-related problems. The toxin, which remains in the body and can be passed on for generations, is also responsible for a host of adult health problems, including decreased kidney function, high blood pressure, tremors and infertility. In the year following the switchover of Flint to water from the polluted Flint River, which caused leaching from the city’s antiquated lead pipe system, five percent of the children who had their blood tested showed lead levels in excess of five micrograms per deciliter. This is the threshold requiring immediate public health intervention, according to the US government’s Centers for Disease Control and Prevention (CDC), which acknowledges that there is no safe level of exposure to lead. Reuters used data collected by the CDC based on neighborhood-level blood testing results for 34 states and the District of Columbia. As devastating as the results are, they do not provide a full picture. The CDC funds 35 state and local health departments for lead surveillance. Reporting is voluntary in the remaining states, many of which do not have staff to collect data. Despite the well-known public health hazard, the US government does not require reporting and does not oversee the systematic collection and analysis of data on lead poisoning. Reuters says this is the first look at data broken down by census tracts, which are small county subdivisions averaging 4,000 citizens, or by zip codes, with average populations of 7,500. In December, Reuters noted that far from being the exception, Flint did not even rank among the most toxic cities in America. It pointed to Warren, Pennsylvania, a town on the Allegheny River, where 36 percent of the children tested had high lead levels, to a zip code on Goat Island, Texas, where a quarter of tests showed poisoning. The newest map includes additional data collected this year by Reuters from Kansas, Georgia, Tennessee, Vermont, North Carolina, New York City and Washington, D.C. The newly identified areas with high levels of child lead poisoning include a historic district in Savannah, Georgia, areas in Rutland, Vermont near a popular skiing area, and a largely Hasidic Jewish area in Brooklyn, New York. Like Flint, which has acres of land polluted by General Motors and other industrial firms, impoverished homes with peeling paint, and underground lead water mains and service lines, the areas throughout the US with the worst lead poisoning are invariably working class and poor. 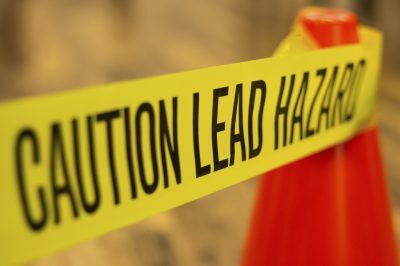 There has been a sharp decline in poisoning since lead was removed from paint in 1976 and gasoline in 1995, the latter after more than a decade of resistance by the oil industry. The elimination of lead poisoning, however, is not possible due to lead pipes, residual lead paint in poor urban and rural areas, and former or current industrial sites polluted with lead. “The dramatic decline in blood lead over the last several decades in the US is a public health triumph, resulting from control of lead in gasoline, paint, food, water, soil, consumer products and other sources,” said Marc Edwards, a professor of environmental and water resources engineering at Virginia Tech University, who was instrumental in exposing the lies of state and local officials who claimed that Flint’s water was safe. The poisoning of Flint was brought into the national and international spotlight only due to the courageous efforts of the city’s working class residents and science professionals like Edwards and pediatrician and public health advocate Dr. Mona Hanna-Attisha. She was denounced by Governor Rick Snyder’s office for “slicing and dicing” the results of blood samples. Flint became a symbol of everything that was wrong in America: corporate and political criminality and the indifference of both the Democrats and Republicans to the plight of working people. The media, celebrities and politicians from Barack Obama to Hillary Clinton and Bernie Sanders poured into the town and legal proceedings were initiated against several lesser figures involved in the crime and cover-up. More than three years since the switch to the Flint River, however, nothing has been done to make the residents whole. The new report from Reuters has been largely ignored by the rest of the corporate-controlled media, which originally presented the Flint crisis as an anomaly, until it was unable to deny the massive and nationwide scale of the problem. Far from committing the necessary resources, including an estimated $500 billion to $1 trillion to replace the nation’s lead pipes, the Obama and Trump administrations have failed to provide any significant funding to address this public health care threat, even as they have squandered trillions on bank bailouts, military spending and tax cuts for the wealthy. Trump’s 2018 budget request includes a $1.2 billion, or 17 percent, cut to the CDC and the Agency for Toxic Substances and Disease Registry. All images, except the featured, are from the author.